Are you looking for a sound system and/or lighting rental service in the San Bernardino area? Look no further as you've found us! 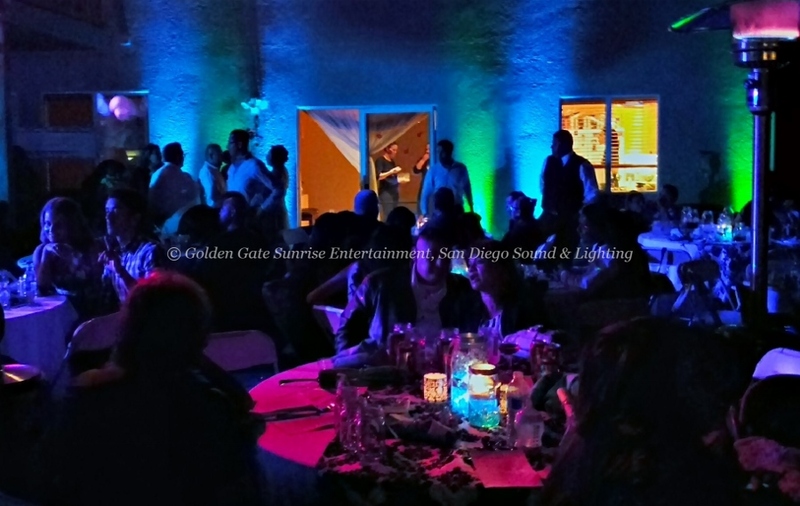 We have provided our affordable sound system rental and lighting decor services at many weddings, corporate events, birthday parties, concerts, festivals and other types of events all over Southern California. Our most popular services include LED uplighting (wall lighting), dance floor lighting, stage lighting, gobo projection, DJ lights, color wash/flood lighting, PA system rentals, speakers, microphones, sound mixers, subwoofers and wedding videography. Our rental packages start at only $300 per event and include free setup, tear down, labor, tax and personalized planning with the owner of the company. We usually respond to emails within one hour and customer satisfaction is one of our top priorities. If you'd like to view a full list of our services packages and pricing, please click here. If you'd like to fill out our contact form to get in touch with us and ask your questions, please click here. You may also check out our main page and learn more about who we are here. If you're interested in booking our sound system rental, lighting decor or videography services, we would need to sign an agreement and, depending on the date of your event, a full payment or 50% of the total will be required to reserve your date.. This will make us turn down other job offers for that time. That why it's important to reserve your date in advance, preferably a few months before your special event. You may contact us at any time to check if we're still open for your date. We look forward to working with you!